Satin Nightgown - Can you keep a secret? Neither can we, which is why we’re spilling our favorite tips, tricks on satin gowns. Nothing is more elegant and glamorous than the silky feeling of satin pajamas, and a beautiful nightgown is a treat that we think every woman deserves to have in her lingerie drawer. If you think satin nightgowns are only for women with perfect bodies, it’s time to take another look. Just like clothing, there are a variety of cuts and styles, and it’s all about choosing one that fits and flatters your body. Try on several looks until you find the right one that hugs your curves in the right places and minimizes flaws. 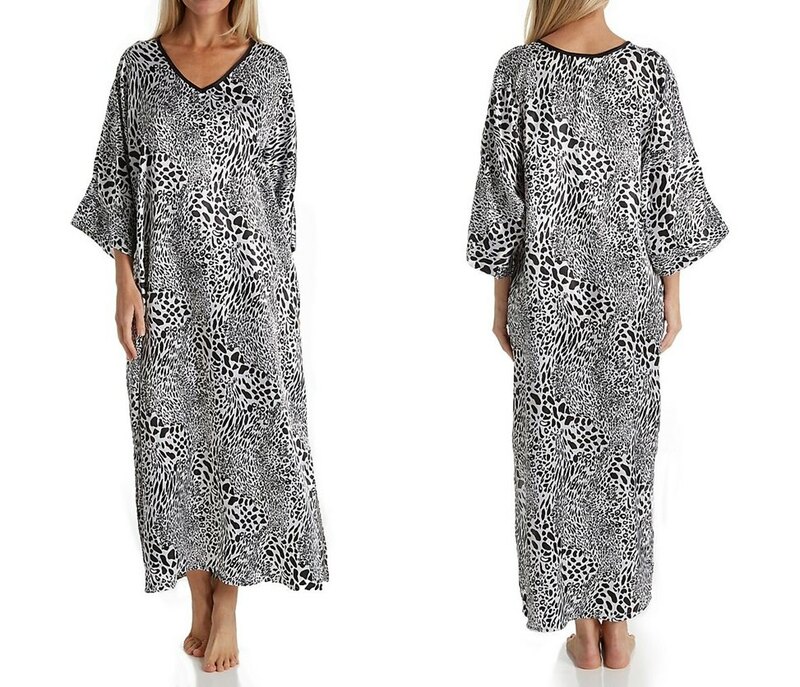 A-line styles are universally flattering, and depending on your shape you might look best in long column nightgowns, babydolls, classic slips, or menswear button up styles. Of course black is classic and slimming, but don’t just assume that it’s always your best bet. Try to step outside the box and choose a nightgown in a brilliant shade like cobalt blue, rich violet, turquoise, or crimson. The right shade will light up your skin tone and play up your best features. A gorgeous jewel toned silky nightgown also feels opulent and indulgent, which is something every woman needs more of, even if it’s just for bed. Silk nightgowns are made from a natural and somewhat delicate fiber, while satin gowns are made of synthetic materials like polyester and nylon which are stain-resistant and easy to clean. Don’t shy away from this sophisticated style because you don’t have the bank account to back it up. Satin is available at every price point and are an accessible luxury that anyone can afford. 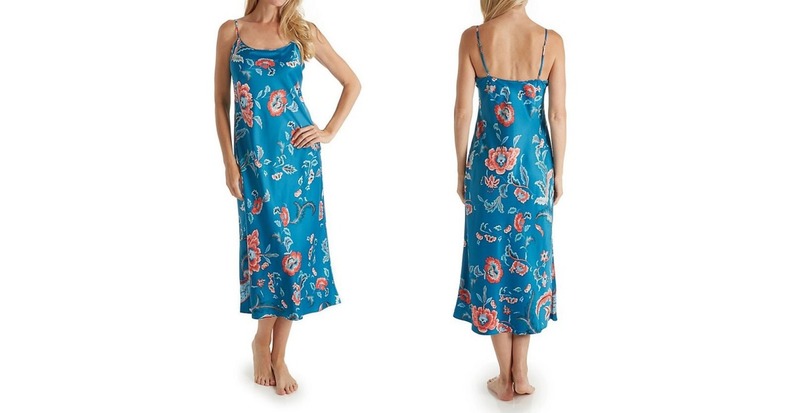 Try a flirty little slip in the summer months, or stay warm in the winter in full-length styles. Those in-between months are made for a matching satin robe to give you that extra bit of coverage. Satin gowns are a great investment because of their versatility and wearability at any time of the year. 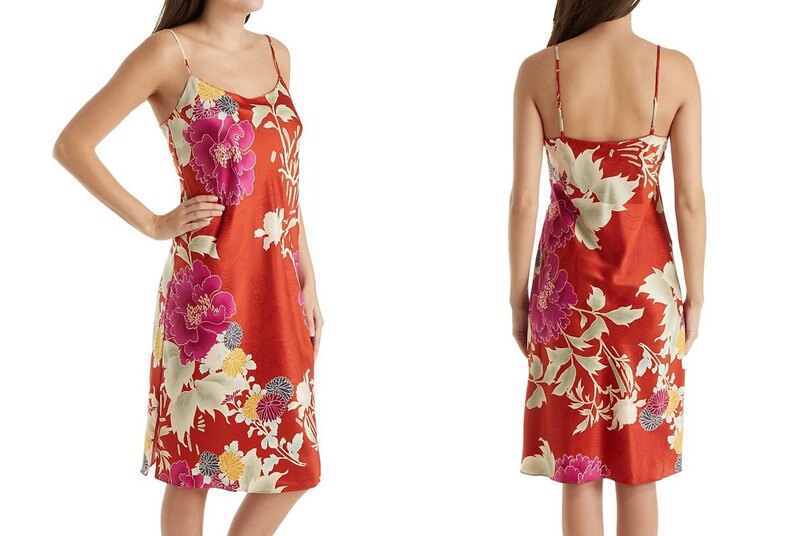 Satin sleepwear also tends to be more durable and have a longer life span than silk. Instead of treating your satin sleepwear as fancy luxury lingerie that you reserve for special occasions, make any night one to celebrate by wearing satin pajama on a regular basis. Slip into a satin nightgown any day of the week and you’ll quickly become hooked on the way it makes any evening feel extraordinary.